Make this creamed chipped beef recipe for a comfort food dish the whole family will love! 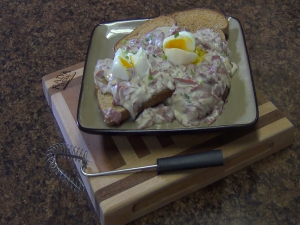 This warm and hearty classic features succulent chipped beef in a creamy sauce with perfectly toasted bread and the perfect poached egg. 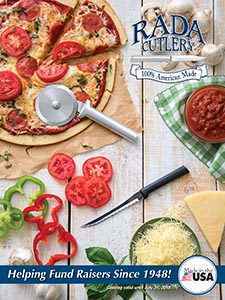 Make a plate or four and watch the family go wild for it! Roll 5 oz. dried beef and cut into strips. Set aside. Add flour and stir constantly until flour has incorporated. Stir until sauce thickens. Add salt and a generous amount of pepper. 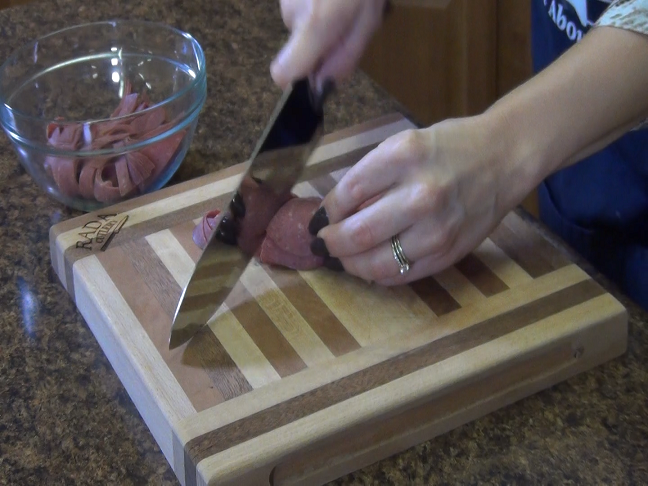 Add sliced dried beef. Mix and remove from heat. Bring water to a boil in a saucepan. Add white distilled vinegar. Crack eggs into coffee cup. Place eggs slowly into water using the coffee cup. 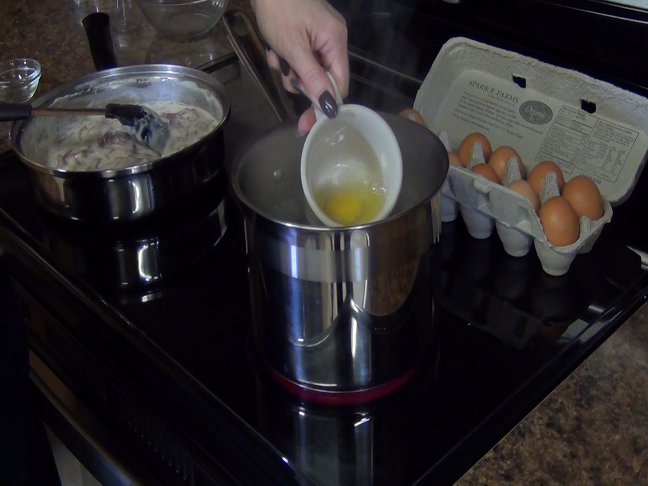 Use a slotted spoon to remove and drain eggs. Place beef mixture on top of toasted bread. Place poached eggs on top of that. 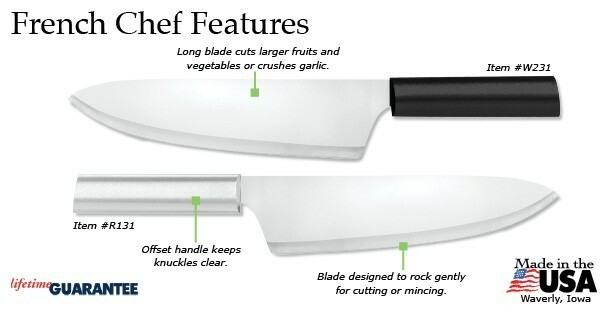 The Perfect Knife for Any Chef! The Rada French Chef knife is a cook’s best friend when preparing countless recipes! 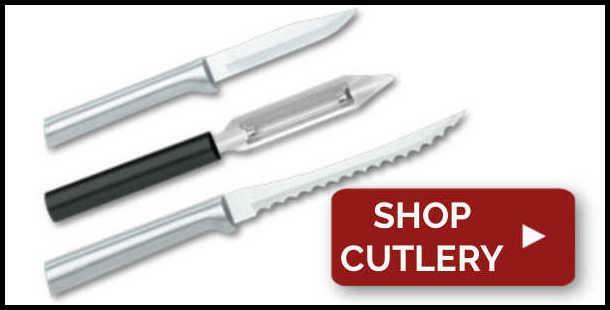 This large stainless steel knife features a lengthy blade that easily cuts bigger foods such as many fruits and vegetables. Use this once and you’ll find yourself reaching for it again and again! 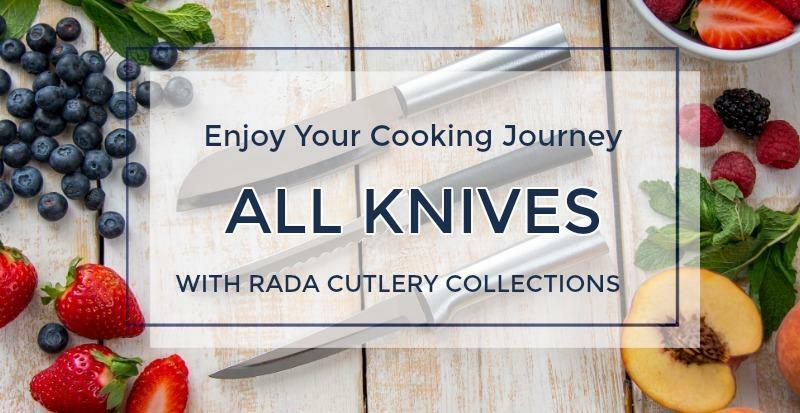 Like all Rada products, it’s made in the USA, and like all Rada knives and utensils, it comes with a Lifetime Guarantee! The Rada French Chef knife can be yours today after a visit to our online Rada Kitchen Store! 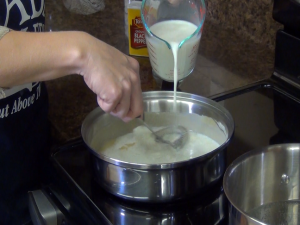 The Rada Handi-Stir is an amazing wire whisk that will easily handle all your stirring needs! 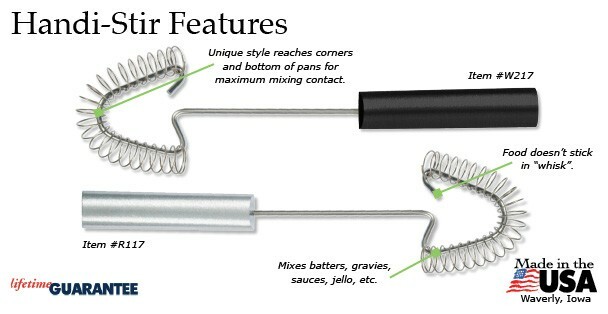 Use it to make dressing, eggs, sauces, gravies, batters, or anything that needs to mixed. 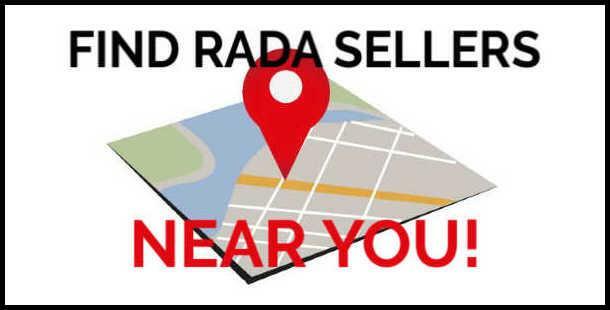 Like all Rada products, it’s made in the USA, and comes with a Lifetime Guarantee! Visit our online store to have a Rada Handi-Stir delivered to your door! Use the Rada Non-Scratch Spoon with Holes for all your scooping and draining needs! Featuring a sturdy metal stem and a non-scratch construction, it’s safe to use with your non-stick pans. A flat nose allows for easy stirring and serving, while the holes allow you to drain water and other liquids. 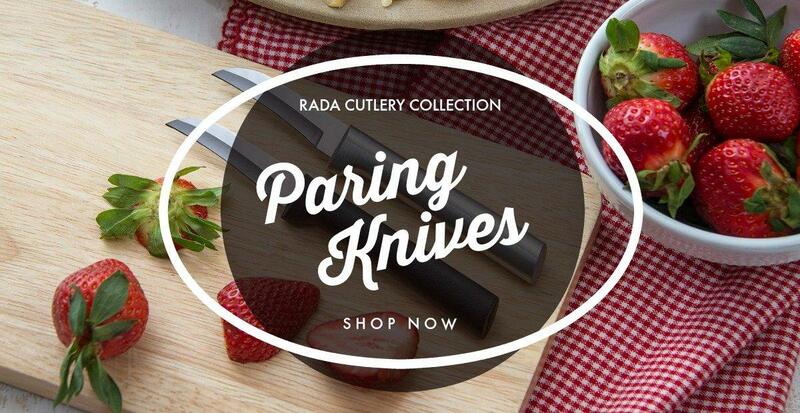 It comes with a Lifetime Guarantee, and, like all Rada Cutlery products, is made in the USA! 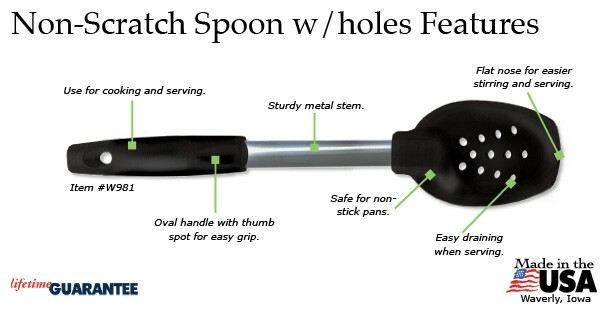 Stop by the online Rada Kitchen Store to order your own Non-Scratch Spoon with Holes! 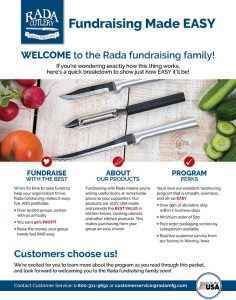 Raise Funds with Rada Cutlery! 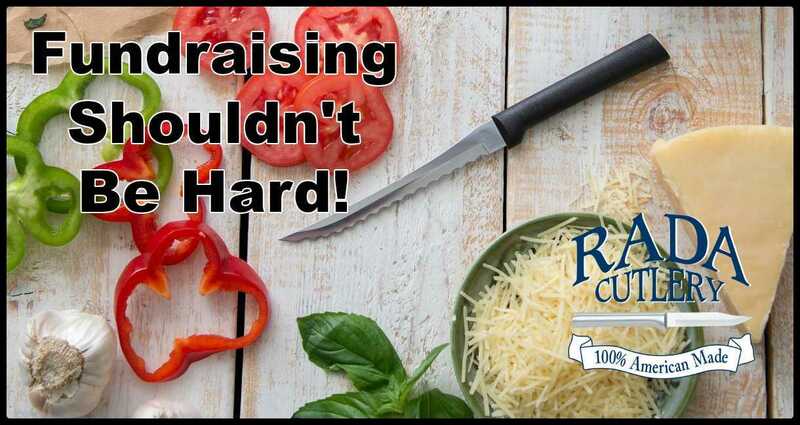 Rada Cutlery is your ticket to a successful fundraiser! Every year, tens of thousands of nonprofit groups partner with Rada to raise money for good causes. Schools, churches, clubs, sports teams, civic organizations, charities, and more meet their financial goals with Rada. 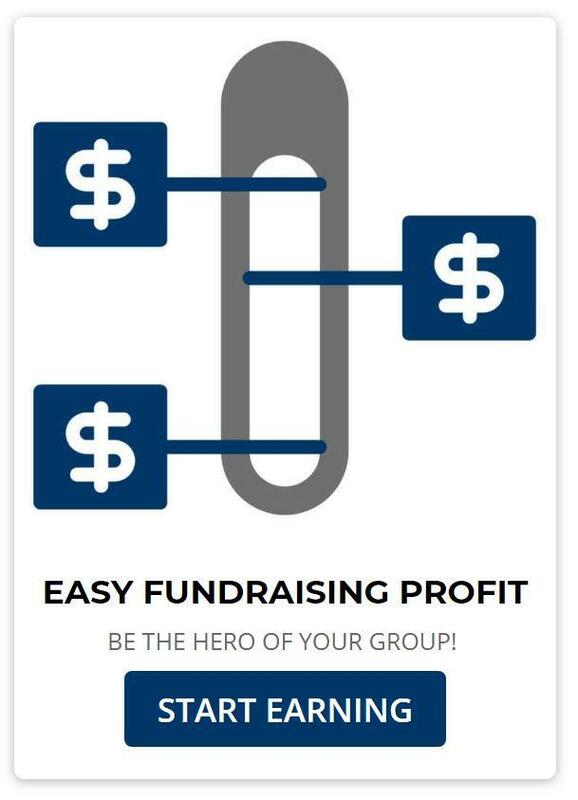 Rada’s fundraising catalog has a complete product listing! 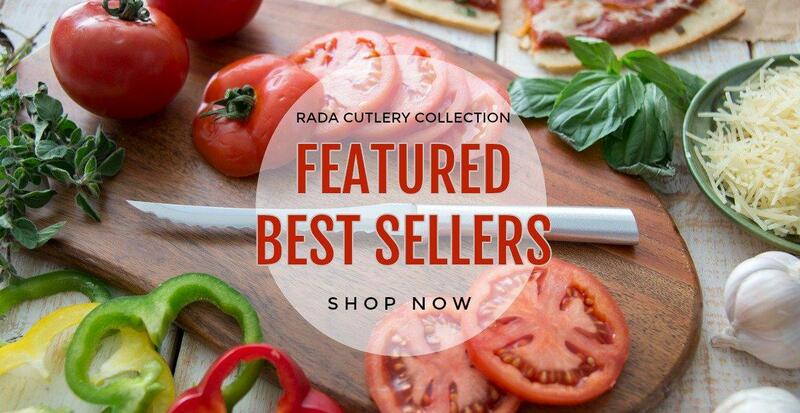 Everything Rada Cutlery offers, from knives to utensils to stoneware, is made in the USA! From our headquarters in Waverly, Iowa, Rada’s products are made by workers committed to producing the best kitchen products available. 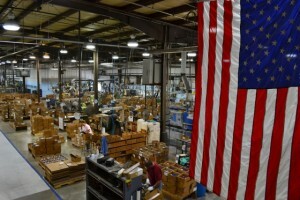 Watch this video to learn more about what makes Rada’s American-made products so remarkable! Hi there, Jess in the Rada kitchen, thanks for much for joining me today. 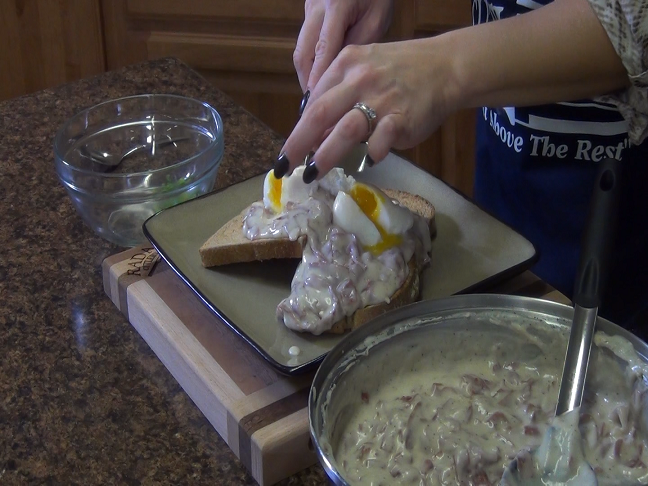 I’m super excited to make one of my childhood favorites, chipped beef on toast. It’s a classic comfort food and we’re going to pair it with a perfectly poached egg just to add a little bit more protein. Whether you’re making this for dinner or breakfast, it’s a stick-to-your-ribs comfort food that will have everyone smiling. Let’s go ahead and get started. Here I have some dried beef. You can pick this up at your meat counter or on the shelf in a jar. I’m going to take half of it, I’m going to roll it up, and with my Rada French Chef Knife cut it into strips. Set it aside. 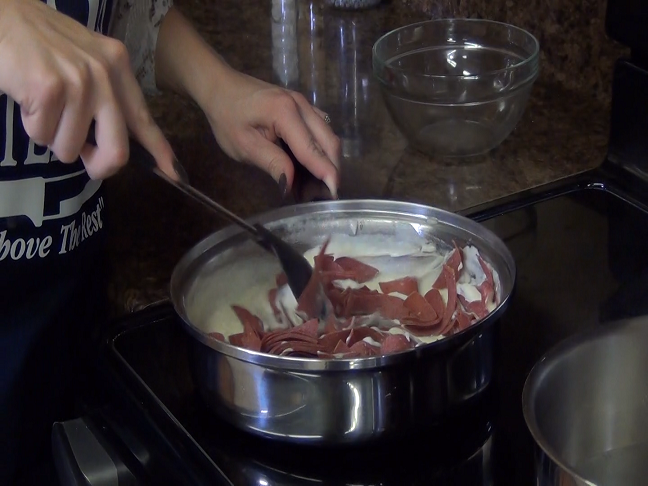 We’re going to make a classic béchamel sauce. I’m going to be using equal parts butter and flour to make a rue. I’m going to put the butter in the pan and allow it to melt. To my melted butter I’m going to take that equal part of flour, put it down in my pan, and with my Rada Handi-Stir we’re going to mix that together. And then allow it to cook for a few minutes to take off that flour taste. I’m stirring constantly so it doesn’t clump together. I’m going to consistently stir in some milk. I love my Rada Handi-Stir for this because it covers so much surface area compared to what you would normally use. So stirring constantly, this is going to make our béchamel sauce. This is the mother sauce for so many dishes, like Alfredo and macaroni and cheese. To this, my salt and pepper, and I’m using a generous amount of pepper. So, still continuing to stir, you can see that it’s starting to thicken. We don’t want it to stick or clump so we’re going to continue the motion. Our sauce has completely thickened. To this I’m going to add that chopped, dried beef. I’m going to mix it all up with my Rada Non-Scratch Spoon. Let these flavors come together and we’ll go ahead and poach our eggs. Now for our perfectly poached eggs. I have a rolling boil and I’m going to add white distilled vinegar. I’m going to crack my organic eggs. We’re going to crack them into a coffee cup and then drop them into the water. I’ll allow water to rush into my cup and dump it out. I’m ready to take my poached eggs out of the water. So with my Rada Non-Scratch Spoon with Holes, I’m going to drain out my eggs. We’re going to set those aside to cool. We’re ready to plate our chipped beef on toast. We have our delicious, creamy sauce that’s going to go on top of some whole wheat bread that I’ve toasted. Smells heavenly. To that, my perfectly poached eggs right on top. With my Rada Granny Paring I’m going to come down the middle and open up that yolk. Here we have our chipped beef on toast topped off with a poached egg. Be sure to check us out at RadaCutlery.com and subscribe to our YouTube channel for more great recipes like this one.